Dr. Unguru is a pediatric hematologist/oncologist and has joint faculty appointments at The Herman and Walter Samuelson Children’s Hospital at Sinai and The Berman Institute of Bioethics, John Hopkins University, Baltimore, MD. He earned his MD (valedictorian) at the Technion – Israel Institute of Technology/Bruce Rappaport Faculty of Medicine. His MA with a concentration in the history of medicine and medical ethics, and BA in historical studies, were granted at the University of Maryland, Baltimore County. Dr. Unguru also received a Master of Science (valedictorian) in interdisciplinary studies in biological and physical science at Touro College/Barry Z. Levine School of Health Sciences. He completed his pediatric residency at the Children’s Hospital at Sinai and his pediatric hematology/oncology fellowship at Children’s National Medical Center in Washington DC. Dr. Unguru was a postdoctoral Greenwall Fellow in Bioethics and Public Policy at Johns Hopkins University. 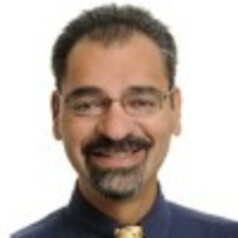 Dr. Unguru is board certified both in pediatrics and in pediatric hematology/oncology, and he has served as a consultant to the American Academy of Pediatrics Committee on Pediatric Research tasked with revising the AAP Guidelines for the Ethical Conduct of Studies to Evaluate Drugs in Children. He has also served as a consultant to the American Medical Association Council on Ethical and Judicial Affairs tasked with modernizing pediatric components of the AMA Code of Medical Ethics. As a pediatric resident, he was a founding member of the Pediatric Committee on End-of-Life at The Children’s Hospital at Sinai, which he now chairs. Dr. Unguru continues to serve as an ethics committee and IRB member and is a member of the Children’s Oncology Group, Bioethics Steering Committee. He recently completed a tenure as a member of the American Society of Clinical Oncology Ethics Committee. Dr. Unguru implemented and directs a clinical ethics curriculum for the pediatric house staff at The Herman and Walter Samuelson Children’s Hospital at Sinai. In 2010, Dr. Unguru was recognized as “Teacher of the Year” by the pediatric house staff at the Children’s Hospital at Sinai. Currently, as a member of the Steering Committee of the Working Group on Chemotherapy Drug Shortages In Pediatric Oncology, along with colleagues, Dr. Unguru is examining the ethical impact that chemotherapy drug shortages have on the practice of childhood cancer.